Scrum Masters are familiar with the 3 pillars of Scrum or the values that are at the core of Scrum. In this episode we discuss how focusing on those 3 pillars of scrum, the Scrum Masters can help make the system conditions visible. The system conditions are the things we must focus on uncovering and help change to enable the adoption of Agile and Scrum in the organization. After all, Scrum and Agile transformation are not easy! Barry, the learning facilitator as he calls his blog, considers himself a 100% Scrum Master. It’s such a comprehensive and interesting role that he gives it his full focus and keeps learning and discovering new aspects every day! You can link with Barry Overeem on LinkedIn and connect with Barry Overeem on Twitter. You can also check the many resources that Barry Overeem shares on his website! What is success for a Scrum Master? This is the #1 question Barry gets in his trainings. In this episode we talk about his answer to that question and how we can enable one of they key patterns in Scrum: team self-organization. Barry shares his own success checklist so that you can use it yourself and assess your path to success. Scrum Masters are typically people committed to the success of the teams they work with. That’s great, but it can lead to problems. It may lead, for example, to the teams not making decisions on their own! In this episode, we discuss anti-patterns that develop in teams where the Scrum Masters act more like a team captain than a servant leader. Most importantly, we discuss what we need to do to transition from captain to servant leader. 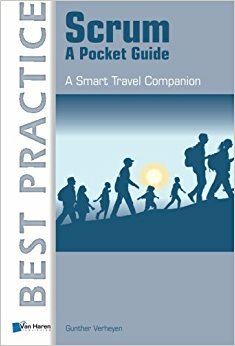 In this episode, we talk about Scrum, a Pocket Guide by Gunther Verheyen, a previous guest on the podcast. 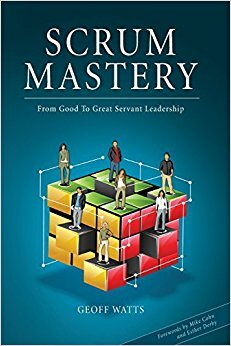 We also talk about Scrum Mastery: From Good To Great Servant-Leadership by Geoff Watts.
. It’s such a comprehensive and interesting role that he gives it his full focus and keeps learning and discovering new aspects every day! There are many paths to the Scrum Master role. One that is quite common in the IT industry is that of moving from Project Management to being a Scrum Master. As you’d expect there are quite big differences. In this episode, we talk about those differences and what Project Managers must take into account when changing their role to Scrum Master. In this episode, we talk about a paper that Barry authored where he describes the 8 stances of a Scrum Master. A good list to have in mind, especially when transitioning from Project Management to Scrum Master. 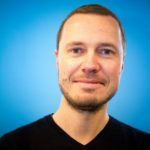 If you are on your journey from Project Management to Scrum Master you might be interested in this episode with Danilo Tambone who made that transition himself!